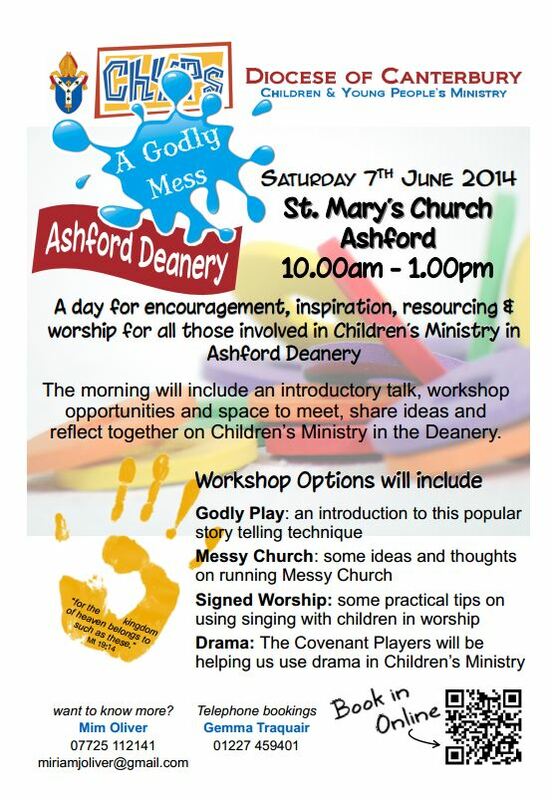 It was great to see a good crowd at our fourth GodlyMess event for Ashford Deanery on Saturday 8th June. That makes 5 Deaneries who have hosted or attended this training morning for children’s ministry … if anyone would like to host one of these events for your area please get hold of Murray or Gemma! I would have liked to have gone to this. Shame it was last week!